Published: Korsunska, A. (2019). The Spread and Mutation of Science Misinformation. In N. G. Taylor, C. Christian-Lamb, M. H. Martin, & B. Nardi (Eds. ), Information in Contemporary Society (pp. 162–169). Cham: Springer International Publishing. Presented at iConference 2019, April 01, 2019. We live in an age when there is unprecedented access to information through the Internet. Though this provides the ability for the world to become more connected, educated and informed on global news, the downside is that information online constantly changes, and the pace and extent of this change is not something the general population is aware of. As information changes, facts are often distorted through oversimplification and exaggeration to attract readership, leading to the creation and spread of misinformation. In this project, I explore how this process takes place through analyzing the life cycle of a specific academic article through hyperlink citations. By tracking the life cycle of a particular medical publication, this study illustrates the path that stories take going from peer review publication and dissemination into the wider audience through various types of popular online media and illuminates various sources of distortion. Since the news media environment went digital, outlets now have the ability to update online content continuously, removing and editing information without any oversight. This breaks the information flow process: news stories no longer represent “a snapshot in time” but instead living, “mutating” organisms. It also enables the creation and spread of misinformation. The type of changes being made are not yet known or widely researched. To better understand this issue, I conducted a textual analysis of 100 diffengine images, as well as thirteen in-depth case studies on the NewsDiffs website, focusing on content changes at the New York Times website. Through my analysis, I have found three overarching themes: “developing story”, “change in tone”, and “correcting inaccuracy”. By identifying these themes, I hope to shed light on this vital, yet largely unknown complication in the process of information dissemination within the greater media network. Presented at the Temple University Graduate Research Forum (GRF) 2018. Despite many advancements in medicine and overall cancer death rates steadily declining, every day we see more and more news about things that cause or prevent cancer. Some studies have shown that this overexposure to cancer-related news can create fatalistic perceptions. In other words, the perception that "everything causes cancer". This notion is only incorrect in itself, but also causes a variety of other related issues. If everything causes cancer, then leading a healthy lifestyle, giving up harmful habits or going for regular check ups seems like a waste of time. The question arises: where are these fatalistic perceptions of reality coming from? This study was designed to test one possible answer to this question: whether traditional and online newspapers are a contributing factor to these perceptions. Collaboration with Connor Phillips, Ph.D. candidate at Temple University. Two distinct, fake news-related phenomena have occurred simultaneously in American public discourse. The first involves the sharing of fabricated information meant to imitate real news. The second involves accusations of fakeness, even when verifiable information is presented. This second phenomenon is most apparent in the field of journalism. In this study, the changing professional boundaries of the journalistic profession are discussed in the context of media digitization. Differences in the uses of “fake news” among partisan media personalities and traditional journalists are observed. 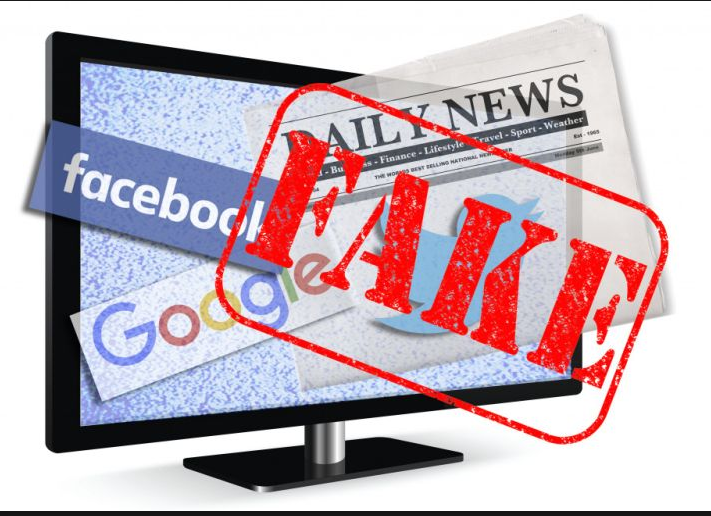 This study shows how “fake news” is playing a role in the assault on the boundaries of journalism and argues that a general ambivalence towards empirical knowledge, as well as blurred boundaries and institutional mistrust, is what gives fakeness accusations their power.